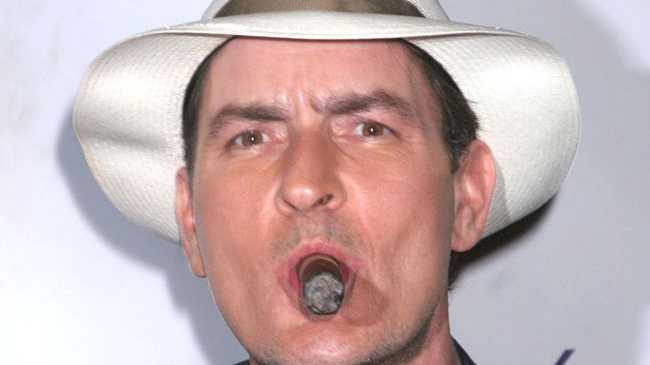 CHARLIE Sheen will return to acting in new sitcom 'Anger Management'. The star will appear in a TV adaption loosely based on the 2003 comedy film of the same name – which starred Jack Nicholson and Adam Sandler - about a businessman who is sent to counselling classes chaired by an aggressive therapist. The 46-year-old actor said in a statement: "I chose 'Anger Management' because, while it might be a big stretch for me to play a guy with serious anger management issues, I think it is a great concept." Charlie's character will be "a mild-mannered, non-confrontational" man who ends up in sessions with an analyst "who could probably use some anger management himself," according to the statement. The new show is Charlie's first acting project since he was fired from 'Two and a Half Men' earlier this year after questions over conduct in his personal life turned into a public argument with the show's creator, Chuck Lorre. 'Anger Management' will instead team the star with producer Joe Roth, whom he worked with on some of the biggest films of his career including 'Major League', 'Young Guns' and 'The Three Musketeers'. 'Two and a Half Men' will continue without Charlie - who was at one time the highest paid TV star in America – with Ashton Kutcher as the show's new lead. A start date for 'Anger Management' has yet to be announced.